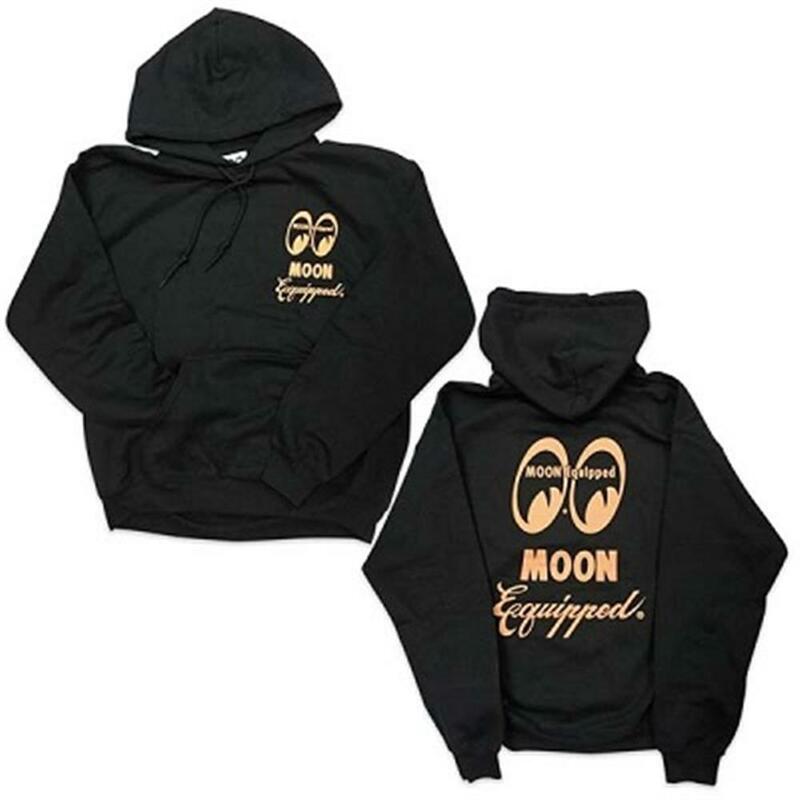 The Mooneyes MOON Equipped Script Parka Sweatshirt is a super comfy pullover hoodie. The MOON Equipped logo and "MOON Equipped" script are printed small on the front left chest and large across the back. This hoodie sweatshirt features two front pockets and a hood. Available in sizes small through XXL.